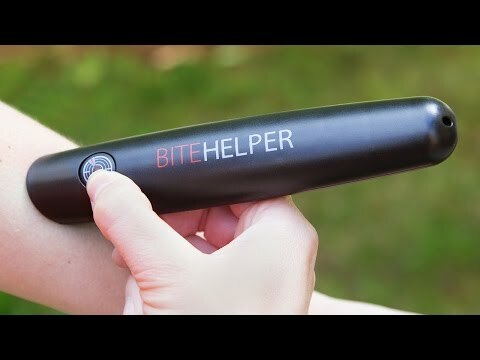 Relieve bug bite discomfort in under a minute. This bug bite soother works with heat, vibration, and solid science to help you heal. When a female insect bites, she injects a bacteria-laden mixture that irritates your skin and it gets inflamed. Heat kills the bacteria, and that gets rid of the itch. The vibration helps your blood circulate, which promotes feeling better, too. For best results, try to use Bug Helper within four hours of the bite. Pack it with you for camping, game day, or an outdoor event—it’ll stop the itch and sting in its tracks.